Yesterday, a Republican controlled legislative committee voted to enact a new impediment to Amendment 4 that would require former felons to have paid all of their court costs and fines prior to eligible to vote. If passed and signed into law by Florida Governor Ron Desantis, the measure would swiftly become subjected to injunction proceedings in Federal Court due to possible violations of the 24th Amendment of the US Constitution that forbids the levying of poll taxes. Yes, poll taxes, those relics from the Jim Crow era when southern legislatures, then under Democratic control, sought to prevent black voters from being able to use their majority in many areas to effect political change through the franchise. 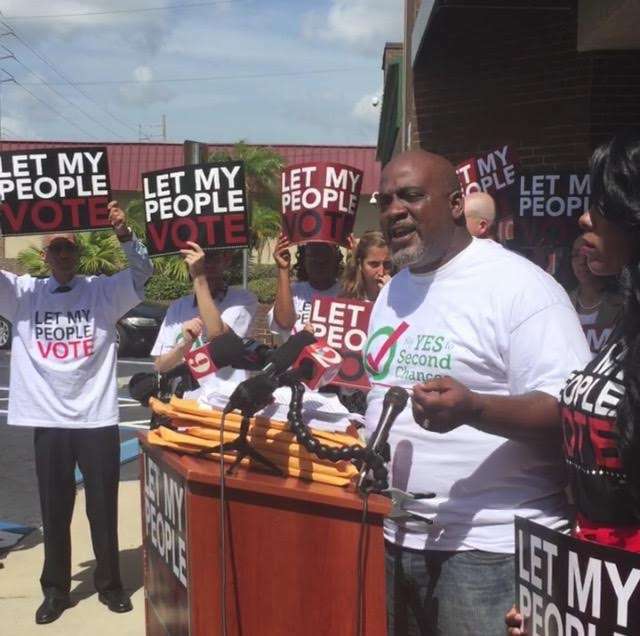 Yesterday’s Florida vote is not race specific per se; according to the Sentencing Project, of the 1.6 million Florida voters who will be impacted Amendment 4, approximately 418,000 are black. Even during the darkest days of the racist old poll taxes, poor voters of all races were at the whims of wealthy and middle class elite whites who wanted to ensure their own dominance in political, social, and economic matters. Still, the racial impact was far more profound and insidious–and only became outlawed after the Civil Rights Movement slowly moved national politicians in both parties to understand the moral depravity of such laws–and the potential political gain of providing the franchise to millions of black voters. In Florida, one need not be a political scientist to understand the simple math that had even 10 percent of that number been registered and voted Democratic last year, Bill Nelson is still in the Senate, and Andrew Gillum is serving his first term as Florida’s governor. Again, it is a shame that the desire for power and single party dominance in the south is so pronounced that some elected leaders would take to old-school pernicious tactics to stymie the will of the people. To that end, I call upon Gov. Desantis to condemn these attempts by his fellow Republicans to punish men and women who have served their debts to society and deserve to enjoy all of the benefits that they are entitled to by law–including the right to vote.